A fat boy with the blues. A skinny girl who runs marathons. And a con man on the lam. If you liked Clear Heart, or if you liked Boone Barnaby, you’ll like this one, too. The themes are a bit more grown up than Boone Barnaby, but it’s still family-friendly for reading. For any age it’s my brand of writing: humane, down to earth, good-natured, sometimes funny and sometimes sad. Babcock plays electric guitar. He’s writing songs - and trying to figure out the true meaning of rock and roll - but he keeps coming up with the blues. 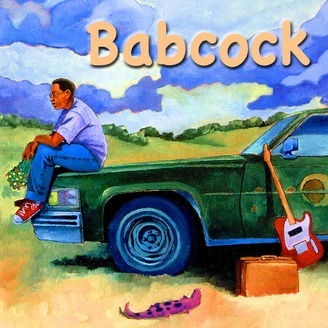 Babcock is trying to start a friendship with a girl, Kirsten, who is as different as can be: Kirsten is skinny; she hates insects. And she's white. Babcock is fat; he speaks to dragonflies. And he’s black. In some ways Kirsten is like a dragonfly: quick and bright. She never walks; she runs everywhere. Her family has money. Her mother thinks Babcock is a little too "rough." Opposites attract. But can they make music? Babcock's family is struggling for money. Then Babcock's Uncle Earl moves in - and he moves into Babcock's bedroom with Babcock's menagerie of animals (including Martin Luther Kingsnake.). Uncle Earl is a con man on the lam. Uncle Earl used to play drums for Chuck Berry. Babcock wants to be Chuck Berry. Uncle Earl wants to coach a Little League baseball team - as a “business venture.” Babcock hates baseball. Babcock wants to learn "charm" from Uncle Earl. Uncle Earl wants to learn how to live a normal life and marry a normal woman - who happens to be Babcock's schoolteacher. Maybe Babcock and Uncle Earl have something to teach each other. Babcock's father runs a car repair shop. At night, in the kitchen, he draws cartoons. Some day he wants to quit repairing cars and sell his cartoons. But nobody's buying. Kirsten is hotheaded. Sometimes she needs protection - from herself. Her mother tries to protect her - from Babcock. For help with his problems Babcock goes to an unlikely source: his Uncle Earl, the man with good charm and bad behavior. But the biggest lessons from Uncle Earl - and, perhaps, from rock and roll - are not what anyone expected. In short, it’s about character. About making music. About family, hard work, about love and loss. Sometimes there’s laughter. Sometimes the lights are off in the kitchen; papa’s got blues. But always life is rich and deeply moving... 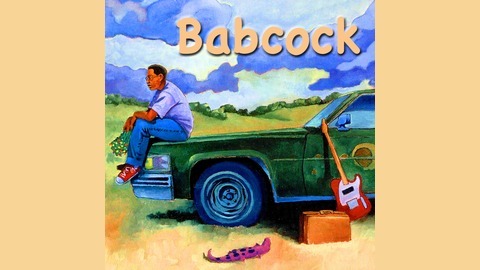 I call Babcock a post-Obama novel. It’s about the friendship of a bl. Ocean journey of a brown-eyed handsome man.